Ever heard of Sintra? I hadn’t, until very recently. 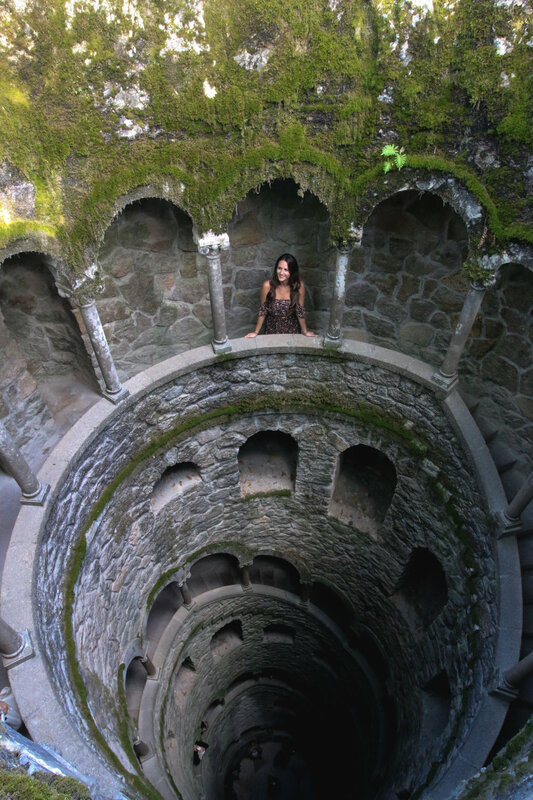 If there’s one place on earth where you think you might find unicorns, Rapunzel, a forest full of singing animals, the fountain of youth or Prince Charming, you’d swear Sintra, Portugal was it. For such a magical place to have totally escaped my radar until recently is surprising. If Sintra has caught your attention and made it into your travel plans, you’re most likely flying into or starting out from Lisbon, Portugal. 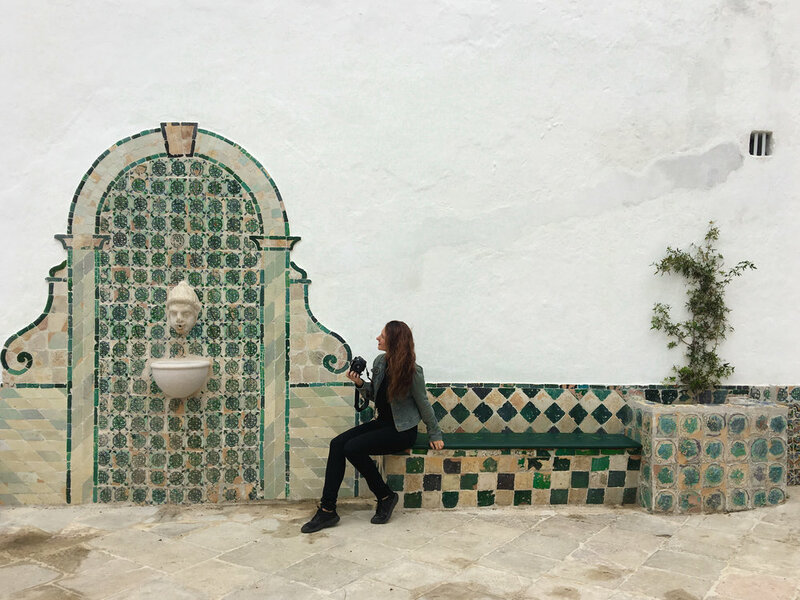 Lisbon is my new favorite topic of conversation, and if you’re spending some time there, I wrote alllll about it in my previous blog post here. The beautiful thing about Sintra is that it’s an easy day trip to make from Lisbon. Simply hop a train from Rossio or Oriente station for 2.15 euros, grab a seat for 40 minutes or so, and you’re there, delivered right into town. In my case, there was plenty of time to spare and I spent five whole days in Sintra with two friends and fellow digital nomads. or the every day traveler on a schedule, I’d probably recommend two. We sorted out an affordable 2-bedroom Airbnb right next to the train station, and it was the perfect place to base ourselves. If you're interested, you can find the listing here. AND, if you've never used Airbnb and want $40 off your first trip (feel like there's not many of you left out there!) I'm just gonna throw this referral code at you to sign up with here. If nothing else, prioritize Quinta da Regaleria. It is a modern day fairytale, comprised of lush grounds, tunnels, mesmerizing inverted towers, a palace, and much more. If you’re ridiculous like me, you’ll dress up in your prettiest princess dress and take an embarrassing amount of photos. The good news? This is one of the most walkable of the sights from town, second only to the National Palace. This wasn't included in our combo ticket, but the entrance fee was 6 euros. One look around the Castle of the Moors and you’ll be quoting Jon Snow. 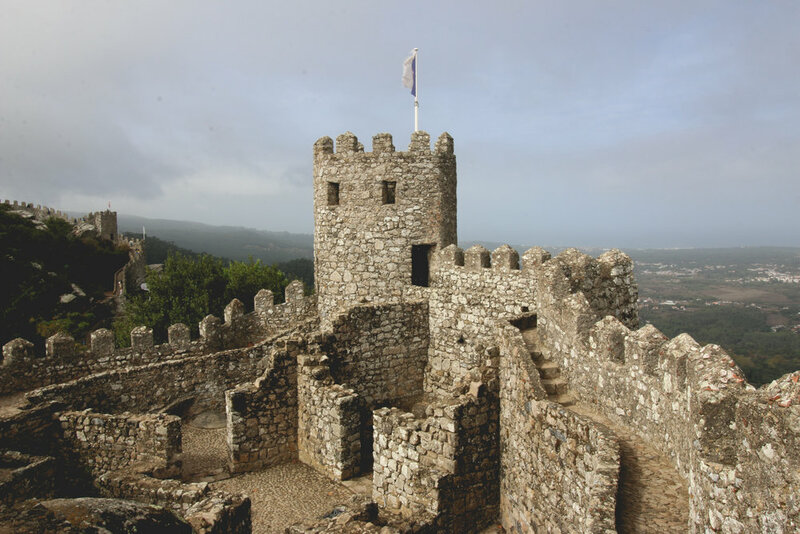 Set high on top of a hill, this Game of Thrones lookalike peers over all of Sintra and distant Lisbon. It also requires a bit of a hike to get to, but don’t worry- it’s the most scenic exercise you’ll get all year. You’ll have plenty of opportunities to catch your breath along the way when you inevitably stop to snap some shots of the enchanted looking pathways and gorgeous buildings. If that doesn't appeal to you at all, there are tuk tuks in town that would be happy to give you a lift for 5 euros per person. Fisher Price made your favorite childhood castle life-size and stuck it in Portugal! Ok not really, but you could’ve fooled me. Also set atop a hill, and ideal to visit after the Castle of the Moors, Pena’s colorful palette and sweeping views are well worth a visit. 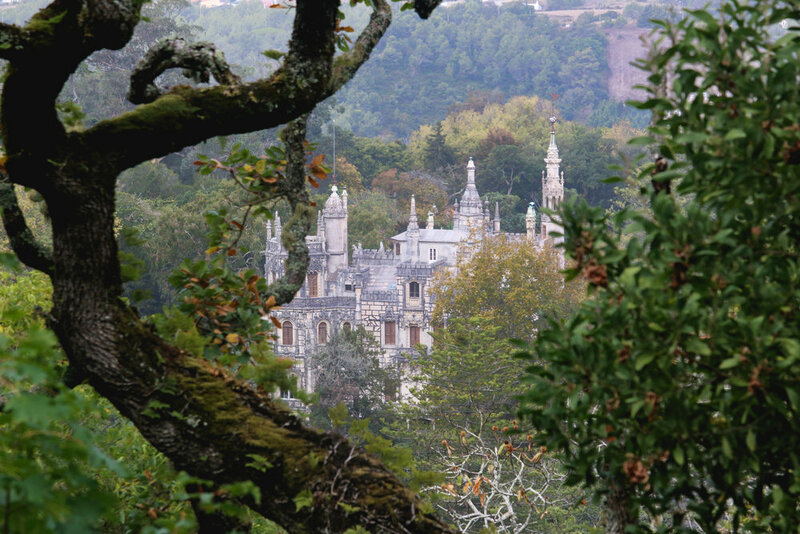 If you have time to spare, the National Palace is located right in the heart of Sintra town. You can’t miss it, as the two white towers (belonging to the palace’s kitchen, it turns out) stick out like two sore thumbs. While the other locations are, in my opinion, exponentially more impressive, inside you will find some stunning rooms and beautiful grounds to explore. Lastly, because Uber/taxis are cheap, it'd be a shame to miss the beaches along Sintra's coast. For example, Praia da Adraga, as pictured below. For a map of beach locations and pretty pictures to help you decide which ones to hit, Travel in Portugal's list of Sintra's Best Beaches is a big help.